Born and raised in Edmonton, Katrina Russell obtained her Bachelor of Music Degree in Performance from The University of Victoria. Further studies took her to Toronto, Banff, and then to Boston Massachusetts where she attended the New England Conservatory of Music. There she was able to pursue her interest in the Baroque bassoon, and was granted a Graduate Diploma Historical Performance with distinction in performance. 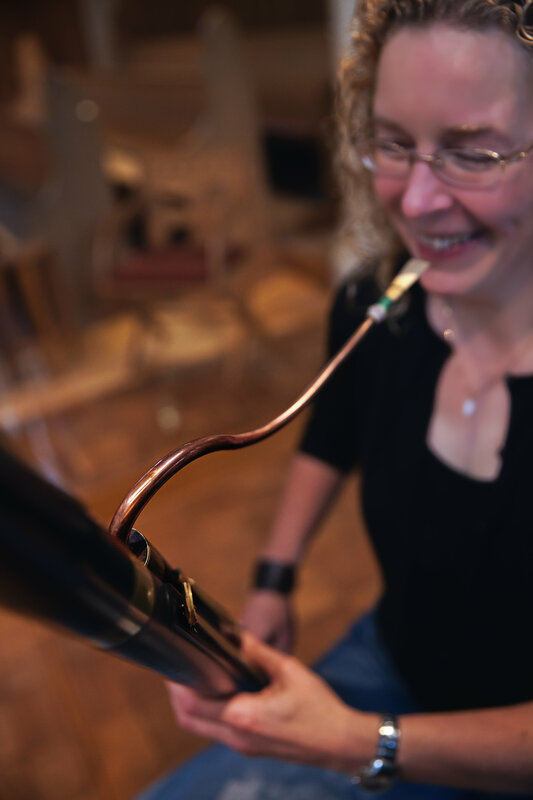 Armed only with a handful of bassoons and a desire to play them, Katrina moved to London, England where she was lucky enough to spend eighteen years playing them (as well as several others that presented themselves along the way). Specializing in historical performance, she played and recorded with many of the period instrument ensembles in Britain and Europe, including The English Concert, The King’s Consort, The Orchestra of the Age of Enlightenment, The Academy of Ancient Music, The Hanover Band, The Gabrieli Consort and Players, L’Orchestre de la Champs Elysees, The Orchestra of “The Sixteen”, and The Amsterdam Baroque Orchestra. After several years of return visits to Canada to play with Early Music Vancouver ensembles and The Pacific Baroque Orchestra, Katrina and her husband (British horn player Andrew Clark) relocated to the West Coast in late 2010, and established themselves near Ladysmith where they have a speciality brass making workshop producing horns and trumpets.